Euphorbia peplus is a small bushy annual with greenish flowers. 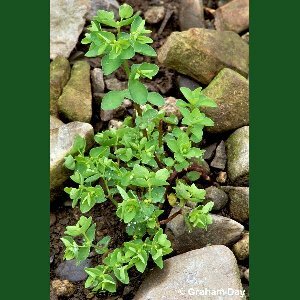 It is a weed of tilled ground, frequent and scattered over N. Ireland. All names: Euphorbia peplus L.